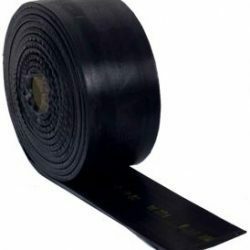 Conventional rubber available upto 25 inches in width. We are enlisted amongst the leading names in the industry offering our clients wide range of Camel Back Tread Rubber. Our hot compound is enriched with sufficient antioxidents so it will enhance more durability than other brands. Specially desinged compound for extra shelf life and high mileage available in different grades to suit different applications. Available in customer specified sizes (such a Truck, Tractor & OTR). With a firm commitment to quality, our organization is engaged in manufacturing a wide range of Camel Back Hot Rubber. Being a leading firm in this industry, we are deeply engaged in offering a high-quality range of Camel Back Tread Rubber. Made from specially designed compounds for extra life and high mileage available in different grades to suit different applications, . Different compounds are available for different uses including truck, tractor, OTR. Available in customer specified sizes. Uncured Tread Rubber / Camelback is made up of Natural and Synthetic Rubber blended with other rubber chemicals. These can be used at a specified length to apply around the tyre for a mould cure or hot cure. Keeping the diverse requirements of customers in mind, we are instrumental in offering superb quality assortment of Camel Bag Hot Retread Rubber. Owing to our expertise, we provide superior quality Camel Bag Hot Retread Rubber. We made these products with latest technology and best materials. With thorough expertise and understanding of this industry, we are enormously involved in offering a quality assured range of Camel Back Tread Rubber. Different compounds of tread rubber/camel back are available. Tread rubber is manufactured as per the needs and specifications of the customers with good shelf life and tread wear properties. The sizes are available for cars, LCV, HCV, tractor and OTR tyres. Tread rubber strips with cusion gum for hot retreading process. We have a varity of sizes for different tyre size. We sell quality product, that reduce you cost and increases your profit. Made from natural or synthetic rubber with a high particle size and the highest quality carbon black and curatives to match international standards. Manufactured for easy flow in the die and storage for up to 90 days. Available with cushion backing- slab, camelback, valley tread type.